April 2010 – Versatille (Brazil), article about Christina burying her art along the Kumano Kodo pilgrim’s path in Japan. April 2010 – Brasil Economico Outlook (Brazil), article about the publication of the “A Nuvem e a Duna” book and on Christina’s land art. 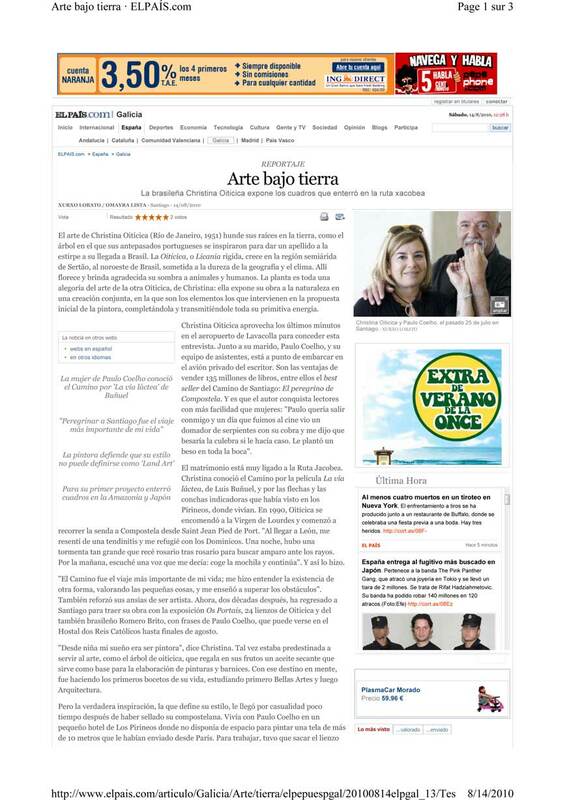 August 2010 – El País (Spain), article about Christina’s pilgrimage on the Way of St. James (Camino de Santiago).